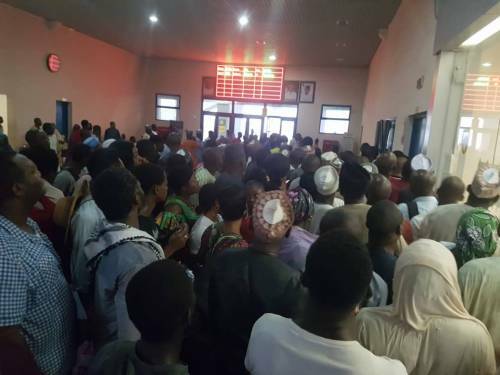 Abuja Train Station Officials Hoard Tickets, Sells At Ridiculous Prices To Passengers - AutoReportNG "AutoReportNG-The No 1 Car Blog In Nigeria That You Can Trust - AutoReportNG"
Three officials of the Nigerian Railway Corporation (NRC) at Kubwa Station in Abuja station were allegedly arrested on Saturday in connection with the ticket racketeering and hoarding. 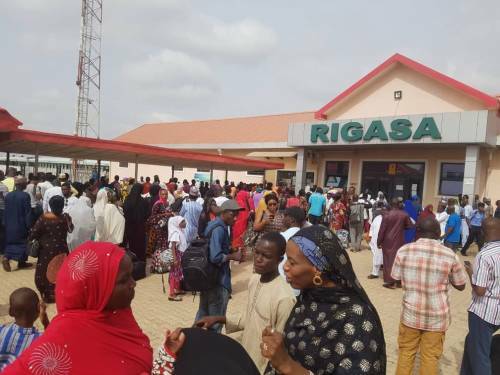 Due to the spate of kidnapping and armed robbery along the Kaduna-Abuja Road, hundreds of passengers thronged the train station over the weekend, leading to rowdiness during ticket purchase. According to a source who is also a staff of the corporation, those three people arrested were a staff member, a policeman and a security guard who engaged in hoarding tickets and inflating their prices. The source said that they were picked up by some plain cloth security agents on Saturday following a sting operation. It was a survival of the fittest over the weekend for passengers willing to buy tickets across the counter, as officials deliberately hoarded and sold the tickets to the highest bidders who had paid way before the commencement of the sale. With the sale of tickets scheduled for one hour before the departure time, many passengers arrived at the terminal as early as 4:30am to avoid a last-minute rush. The daily schedule for Abuja-Kaduna from Monday to Sunday are as follows: 7:00am, 9:00am, 2:00pm, and 6:00pm, except Wednesdays with only two trips at 7:00am and 6:00pm. But many were disappointed despite their early arrival when it was announced that the train had exceeded its capacity, leaving hundreds stranded. 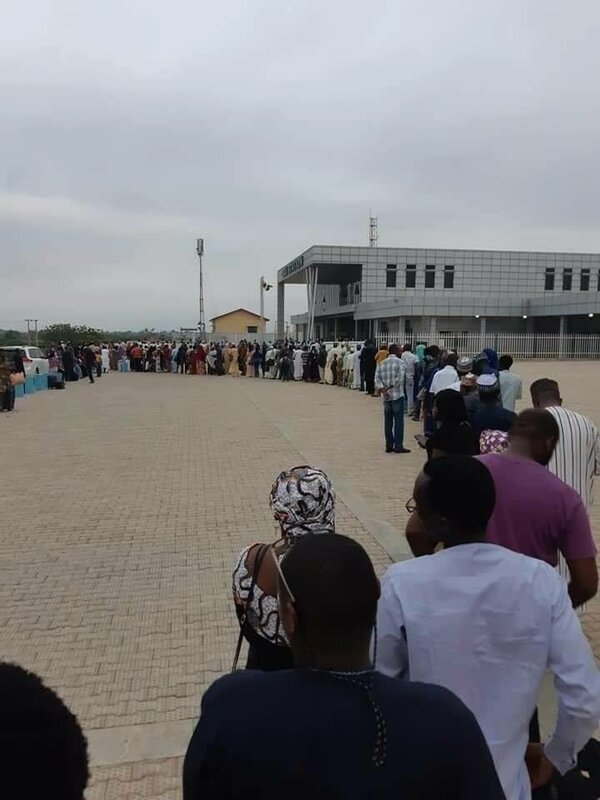 Many wondered how the coaches that were reserved for Kubwa could be filled up within a few minutes, especially since only a few tickets were sold on the counter. Hell was let loose when the officials began to sell tickets for passengers who would remain standing throughout the trip (standing class). The situation almost degenerated into a stampede, as people were falling over one another in the struggle to buy the tickets. Many sustained injuries in the process. It was gathered that the tickets sold to the standing passengers are not officials tickets and will not reflect in the records. There were no security agents on ground to control the surging crowd in Kubwa. Many people were shocked to the marrow to see strange faces who never joined the queue, stroll in with tickets in their hands to the departure lounge to board the train. At this point, the atmosphere became charged, as stranded passengers hurled abuse at the officials, whos they believed might have sold the tickets to them through the back door.